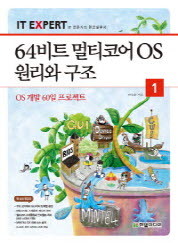 문쉘(MoonShell)의 동영상 포맷인 DPG에 대해서 알아보자. The DPG file specification is simple. All DPG files contain a 36 byte header, followed by audio, and then a standard mpeg-1 video stream. The audio format can differ; older DPG files used a special WAV format audio, but newer versions of moonshell have phased that out in favor of MP2 audio. MoonShell can be very particular about the types of MPEG video it will decode correctly. Videos made with ffmpeg do not work very well; MEncoder seems to be a better option. The FPS and bitrate rely on personal preference, but the DS does not have much processing power - lower bitrates and framerates seem to work better. Finally, since the DS screen is so small, rescaling to 256 by 192 is the most space-efficient. This makes MEncoder output raw video with no need to extract it later with ffmpeg. 아주 간단한 파일 포맷이다. 시간나면 인코딩 라이브러리를 이용해서 직접 생성해봐야겠다.